SAVE THE DATE: The ANNUAL DISTRICT COLLEGE FAIR is coming up! SAVE THE DATE: The ANNUAL DISTRICT COLLEGE FAIR is coming up! 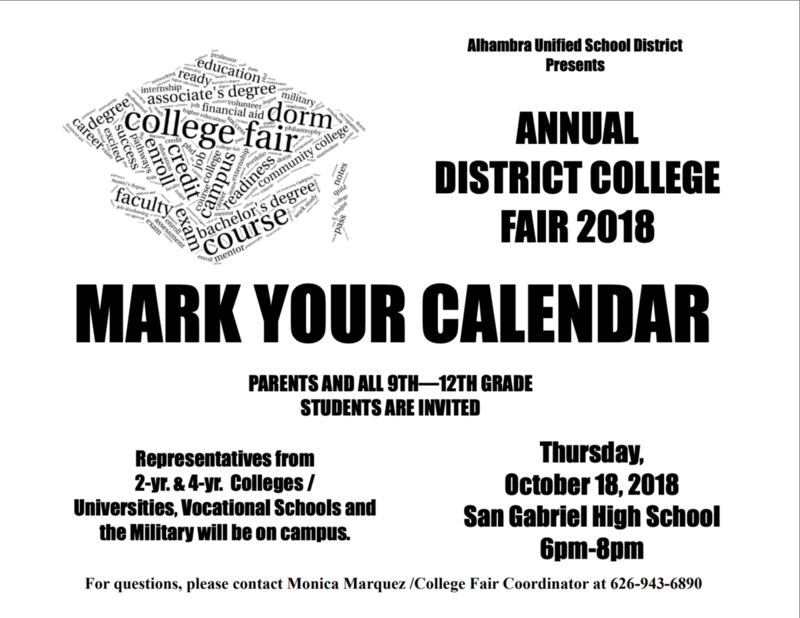 THURSDAY, OCTOBER 18, 2018 from 6:00pm-8pm at SAN GABRIEL HIGH SCHOOL. Representatives from 2 year & 4 year colleges/universities, vocational schools and the military will be on campus. Parents and all 9th-12th grade students are invited to attend. Various Workshops will be provided!